Jo Morton is a quilt-maker, fabric designer, teacher, author, and lecturer. Her use of color, design and fine stitchery give her quilts the feeling of being made in the 19th Century. These quilt complement both the country and contemporary setting. Her work is included in private and public collections across the country. 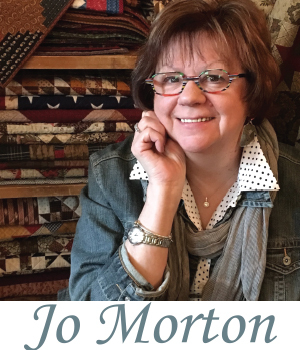 Visit www.JoMortonQuilts.com to learn more about Jo and see what else Jo has to offer.